Previously I have just used my home sim which is with Telstra because It was simple and easy and the plan I have gives international data, calls, and texts. What I didn’t realize was how fast the cost of international data could rise… Now this wasn’t using it all day; this was an hour worth of browsing. 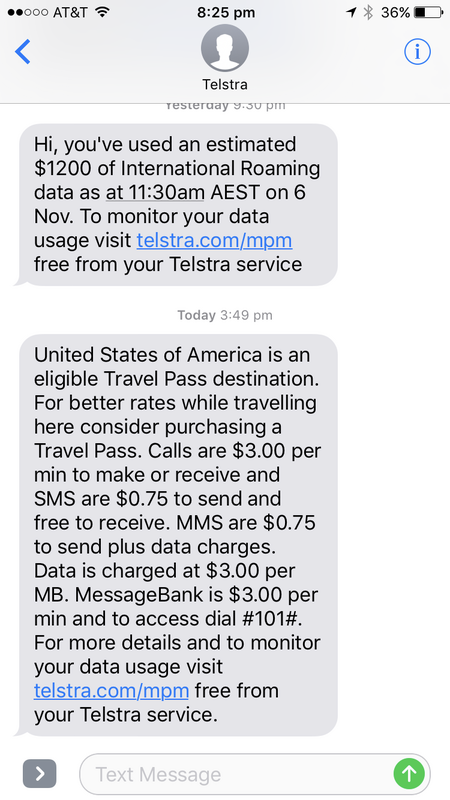 How nice of Telstra to send me travel pass information at the end of my trip! So after nearly having a heart attack I decided to investigate and find a plan or sim that wouldn’t make me go broke. 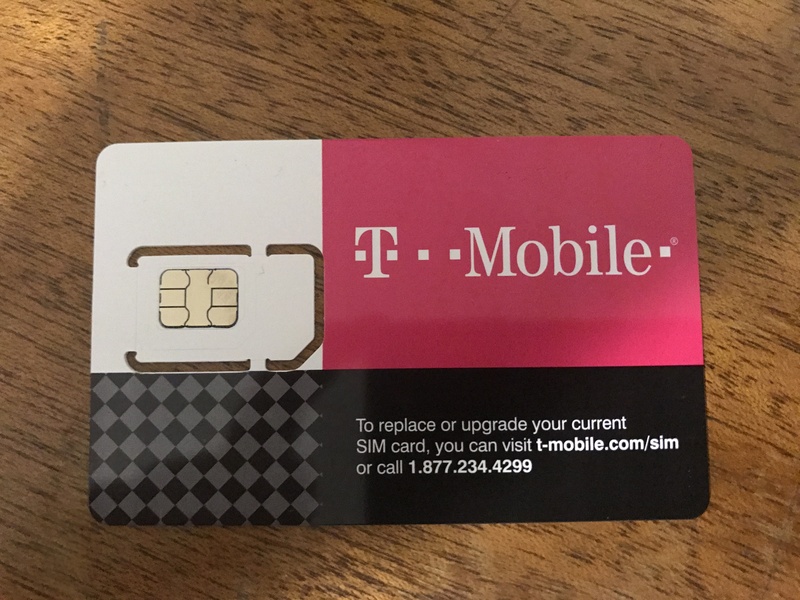 And I decided to try a T-mobile pre-paid sim. I paid just over $100 for the sim, and I can happily say that I won’t ever be using Telstra overseas again. The data is LTE, so it’s lightning fast, and the coverage is absolutely fantastic! After spending time with the sim, I have been so impressed by how well it works, and I am a very satisfied customer. 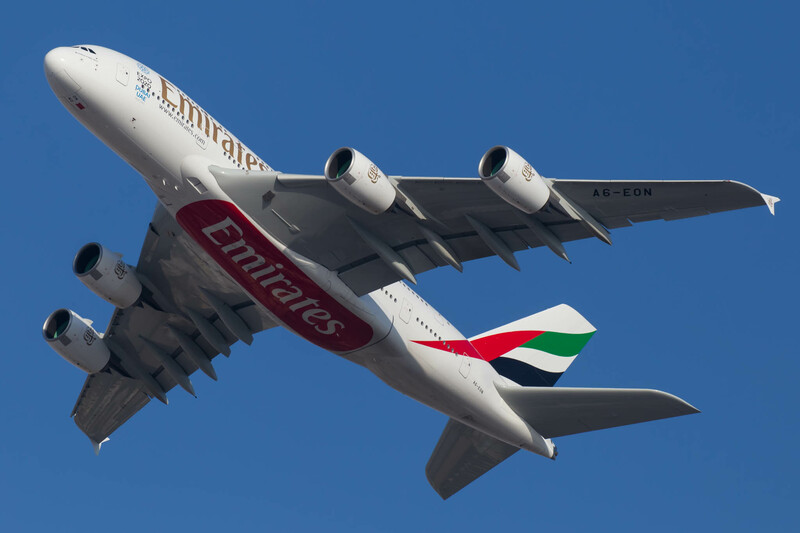 It’s no secret getting flights from Australia to the USA, or the opposite is getting extremely difficult to travel to, especially in a premium cabin. The route is popular with both tourists and business people making it an extremely popular route. The route can be VERY expensive for both off-peak and peak seasons which isn’t affordable for many. Luckily points bring down the price dramatically. However, it takes some patience, persistence, and flexibility. 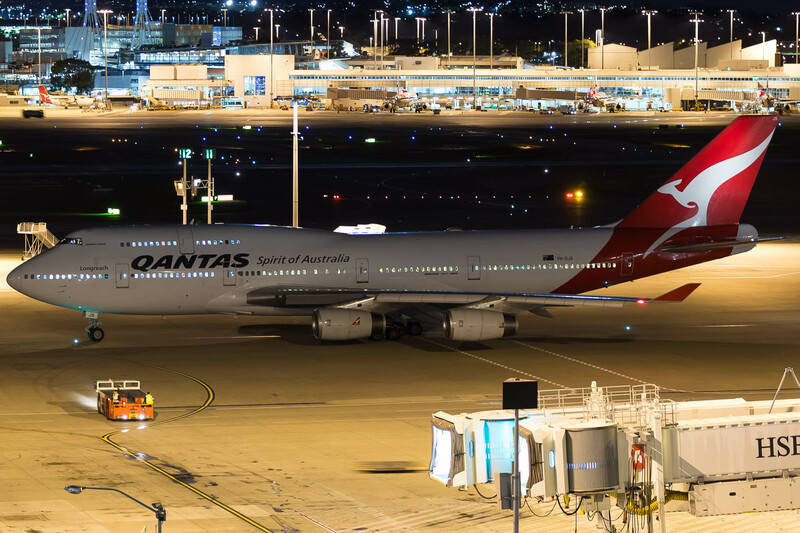 Flying directly to the USA from Australia in Business class is almost impossible but there are some great way’s to get there but it’ll take some more time. As an example lets look at this Singapore Airlines flight. This flight goes from Singapore – Seoul – San Fransisco. This flight is available in business class; all the direct flights were ‘waitlisted’ which is like a lottery. This is another example originating in Seoul. The availability on Asiana and Air China was wide open in both business and first which is amazing! This is a fantastic way to have a better chance for redeeming points for US-bound travel. Another tip is to look for other capital cities in Australia like Brisbane or Melbourne as they often have more availability. For Oneworld flyers, these are airport to look at Hong Kong, Tokyo Narita/Haneda, Kuala Lumpur. For Star Alliance flyers, these are airports to look at Singapore, Beijing, Tokyo Haneda/Narita, New Zealand. For Skyteam flyers, these are airports to look at Taiwan, Shanghai, Guangzhou, Seoul, Xiamen. This is possibly the most important rule of award travel. Flying a family to the U.S in first or business over the school holidays is impossible (trust me I’ve tried it 😉 ), But if you’re flexible with timing, it will be a lot easier to get those golden seats. 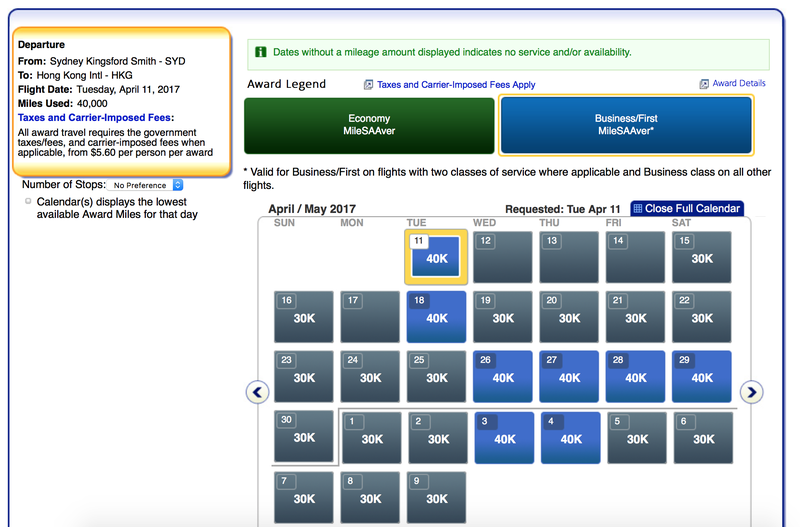 Below is an example of 24 hours before departure for Cathay Pacific and AA, yes there is business seats wide open and first class available. Award seat’s open at different times some are a full year out, and some are last minute. Cathay Pacific release consistent availability last minute which I’ve taken advantage of many times. I talked a little about this in my Expertflyer post. An excellent feature of Expertflyer is the ability to set alerts for award seat’s opening. This will save time for people constantly looking for seats. This doesn’t work for all airlines but will for Qantas, Korean, Fiji Airways, Air New Zealand and Singapore Airlines just to name a few. Many airlines release different amounts of seats at different times. Some release very generous amount all year round then there are some that are nearly impossible to get and you have to book a year out. 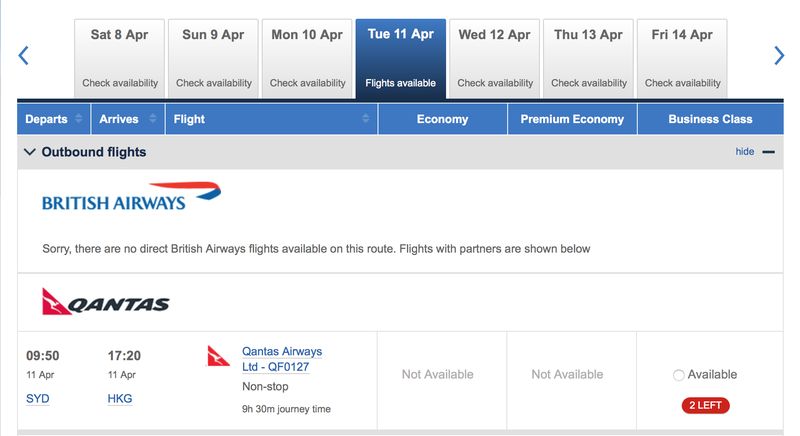 I heavily recommend you go and read Ben’s post on One Mile At A Time which can be found here – When Do Airlines Open Award Seats? 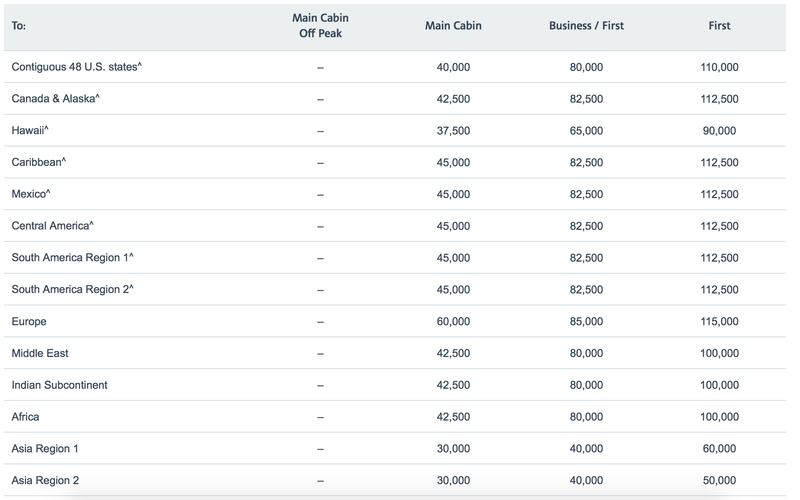 I also recently wrote about when Virgin Australia release long haul business class award seats. Hopefully, these tips and tricks help you to find and book business or first class seats to the U.S. It is definitely worth the effort to find the seats. One question I get very regularly is how I take photos on my blog. This post will explain the full process of taking the pictures I use on this blog. To start off, I’ll explain how I started. When I was 14, I discovered a hobby called ‘Plane Spotting,’ Which is mainly watching planes take off, land, etc. There are many types of spotter’s, ones that would take photos, collect registrations and some that would just go and see special liveried aircraft. I found it incredibly fascinating and bought a new camera a few weeks after starting in the hobby. This is when I found out photography can be a VERY expensive hobby. 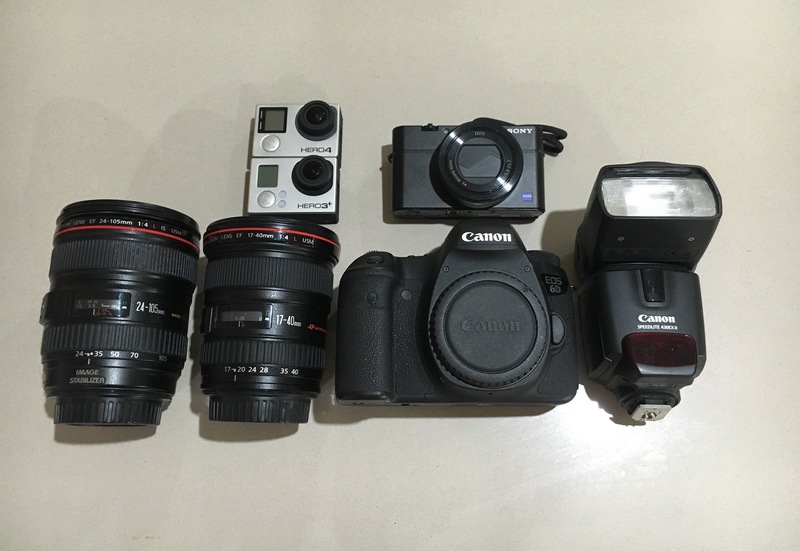 I first started off with a Canon 7D which is a crop sensor DSLR. I loved it and used it for a majority of the time I was spotting. However, the camera itself was quite old and a few months passed, and a MkII came out, but I didn’t get the MKII I got a 6D. This is when I found out how powerful a camera can be. I chose the 6D mainly due to the low light capabilities and the sharpness of the picture which proved to be the hardest part of cabin shots. I also use a GoPro and Sony RX100 for some other shots. As an example of the low light ability and the sharpness of the 6D, these are 2 of my favorite photo’s I’ve taken. After a few months of spotting, I decided to fly down to Sydney on the weekends and meet new spotters and learn a lot from them. One spotter who is a huge inspiration and help with the photography is my good friend Bernie. Make sure you check out his Instagram and Flickr for some incredible photos. 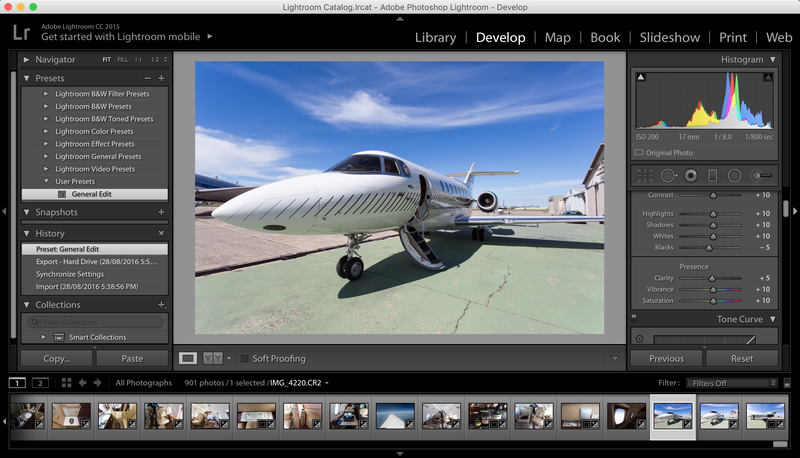 I use Lightroom for 90% of editing for adjusting white balance, exposure, shadows, and clarity, etc. 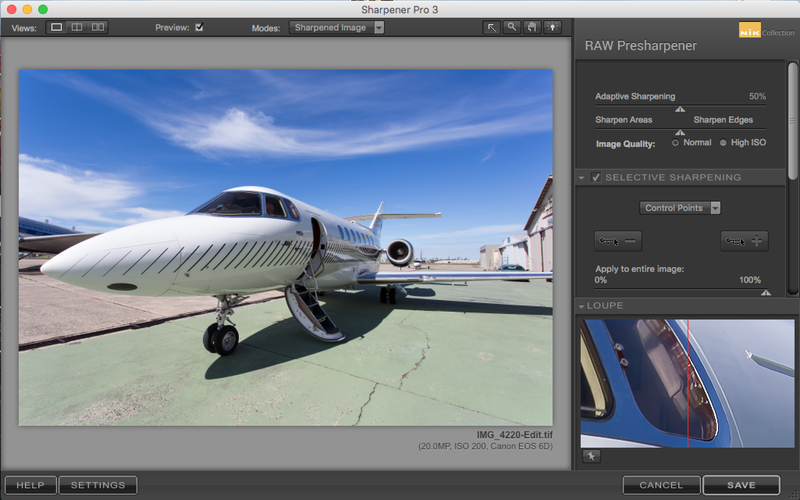 Lightroom is very easy to use once you get the hang of it. If you would like the preset, I use to edit photo’s very quickly feel free to email me, and I’ll send you the preset. I don’t use Photoshop much at all. 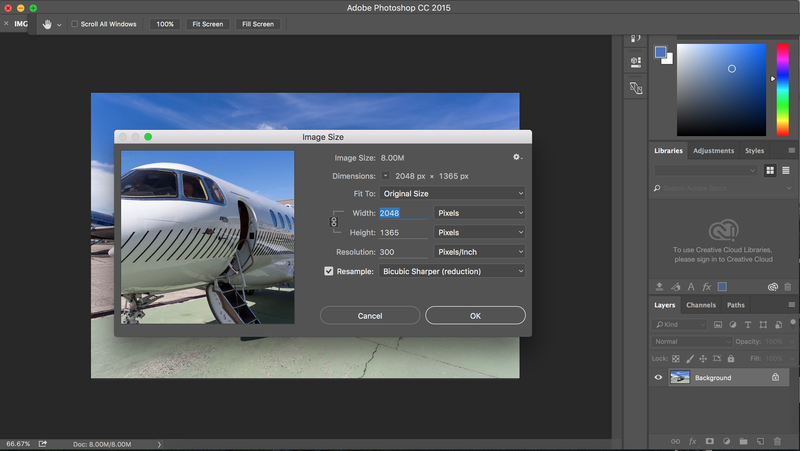 When I do I use it to edit the size of the photo’s and add some sharpening but I leave most of that to Lightroom. Lastly, I use Nik to do some sharpening, add filters and change different effects if need be. The programs are simple once you get the hang of them. Photography can be expensive however very rewarding. The camera doesn’t make the photo, its the person behind the camera.